Tales of Ineptitude: Stashtastic Sunday - MAQS loot! I spent Friday at the Mid-Atlantic Quilt Show in Hampton, Va. It's an annual tradition for me, so I was definitely looking forward to it. It's also something where I look forward to spending some cash money. 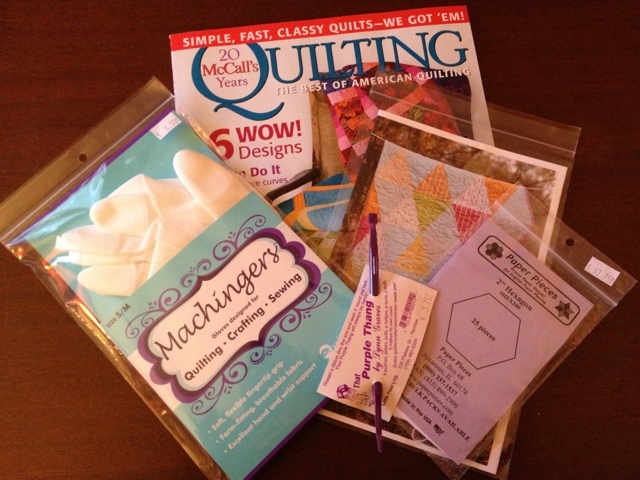 I got a magazine and a pattern, and a purple thing and some hexie papers. I also got a pair of machingers. I tried them out when I took my one and only quilting class, but I preferred being able to feel the fabric a little better. But after the gardening gloves incident, I decided that they were worth another shot. I also got a straight stitch plate for Bridget, as well as some bobbins (and a holder). Bobbins for this beast have been IMPOSSIBLE to find! My shop in Richmond hasn't been able to get any in in months! Bridget's a new model, so accessories in general have been hard to come by, but I've been working with five bobbins total since November. The Bernina dealer at the show said that they only had 12 to bring with them, and they sold out within 30 minutes of the first day of the show. 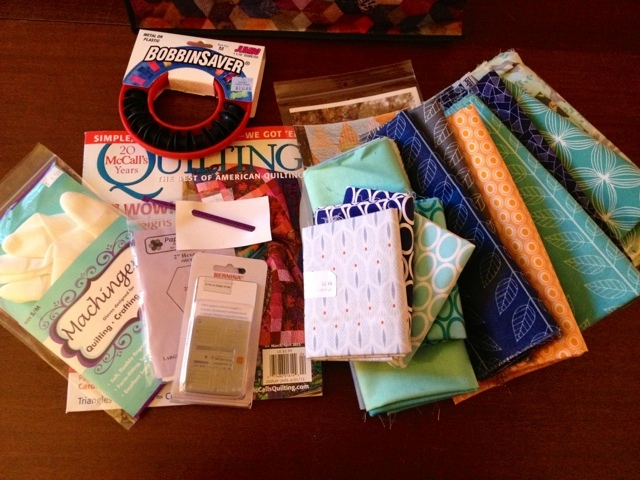 I took a shot and tried the Bernina dealer in Newport News and got lucky! I also got some fun blenders - some more Simply Color as well as some ovals and a yard of some really fun sherbet-y orange. I also finally found some Les Amis! I first saw this line a while ago, and thought idly was so cute and sweet, but I've never seen it in stores. 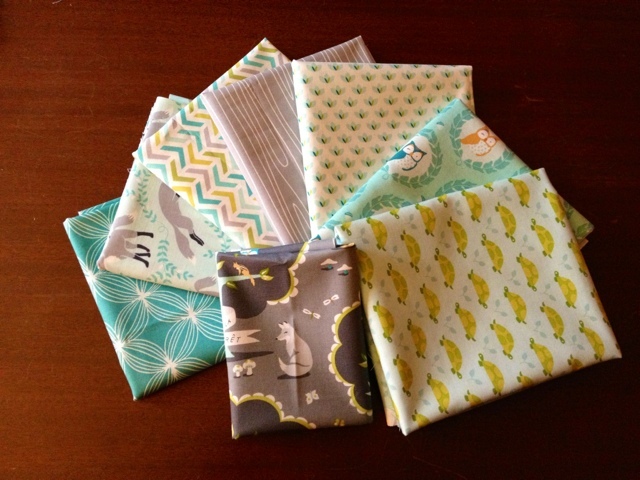 So when I saw it I had to forgo the fat quarter bundle and get some half yards ;-) I also got a fq of the large scale focal print too. I'll have a post of the quilts in the show tomorrow, hopefully! It was amazing, so many beautiful pieces! 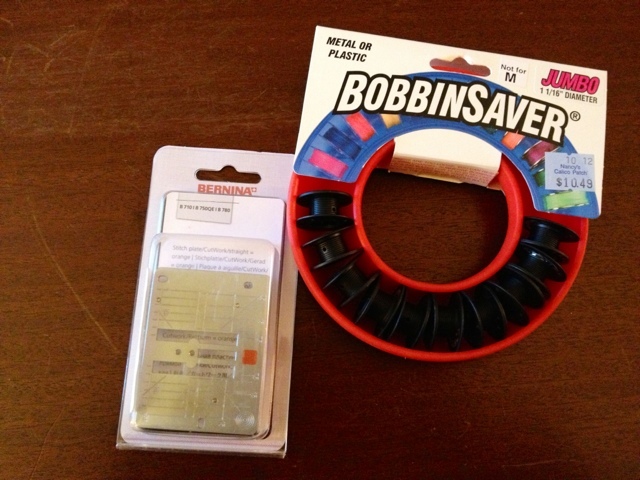 You absolutely scored on bobbins! My dealer is eeking them out 2 or 3 at a time. I think I have a total of 7. Thankfully, I use either light or dark gray Aurifil to piece almost everything - it just blends so well - and have been managing. 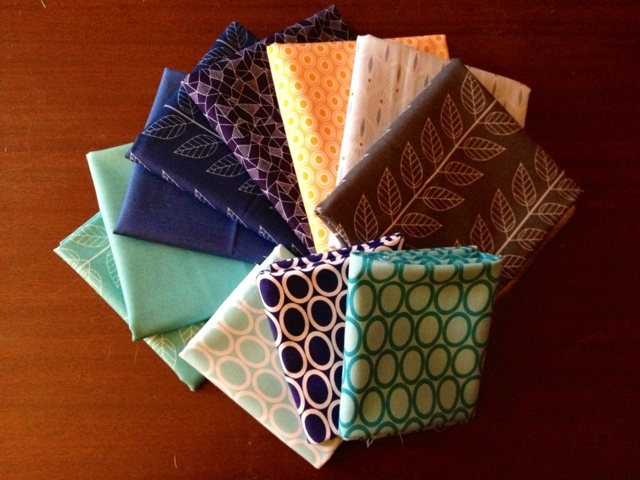 You acquired a great selection of fabric. My local quilt show is almost all traditional and I do like a mix.